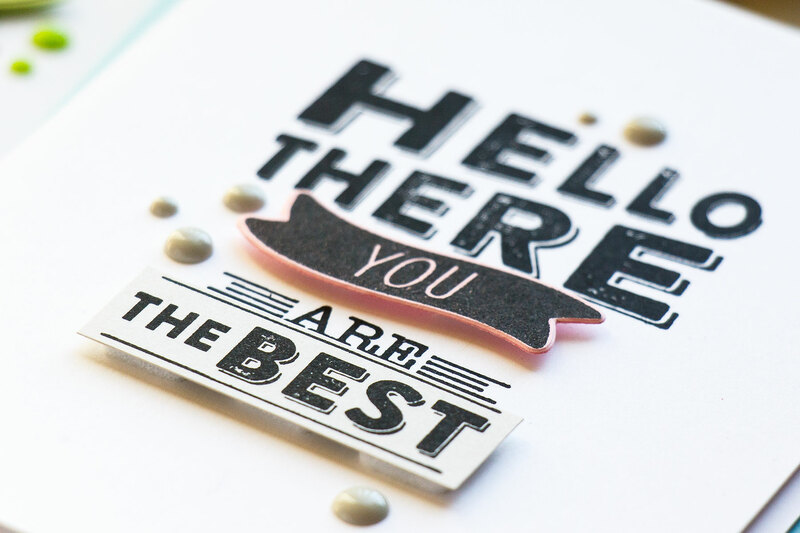 Hello everyone and thanks so much for stopping by to help celebrate the launch of Hero Arts March My Monthly Hero Kit (more about the kit, blog hop and giveaway below). I have a bunch of card ideas to share using this month kit and add-on items. 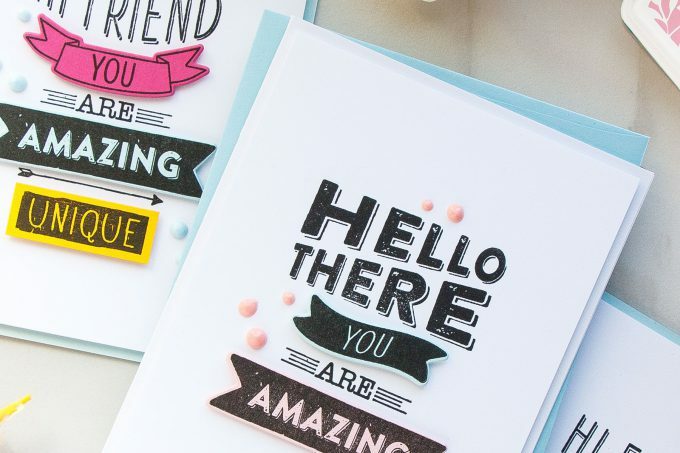 This kit is all about various basic card making sentiments. 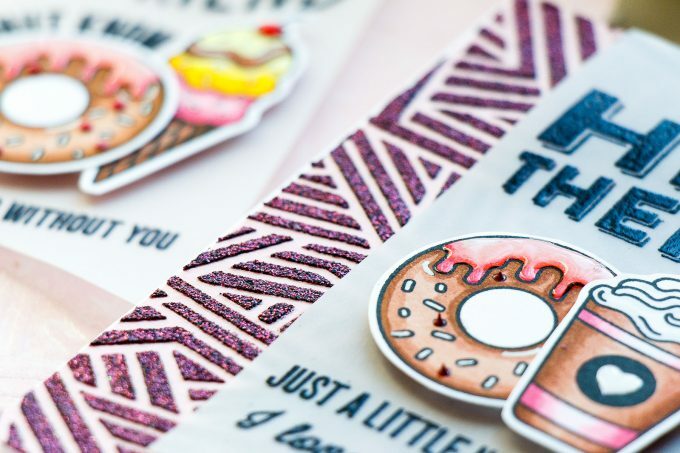 Sentiments, I think, are essential for any card maker as no matter what card we make – there must be a sentiment present. 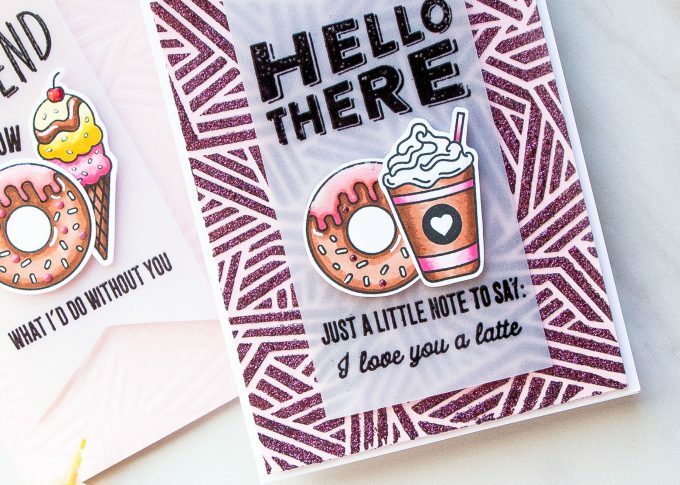 I am very excited about this kit, I think it’s a must have, especially if you are a beginner cardmaker and don’t have a lot of sentiment stamps in your stash. 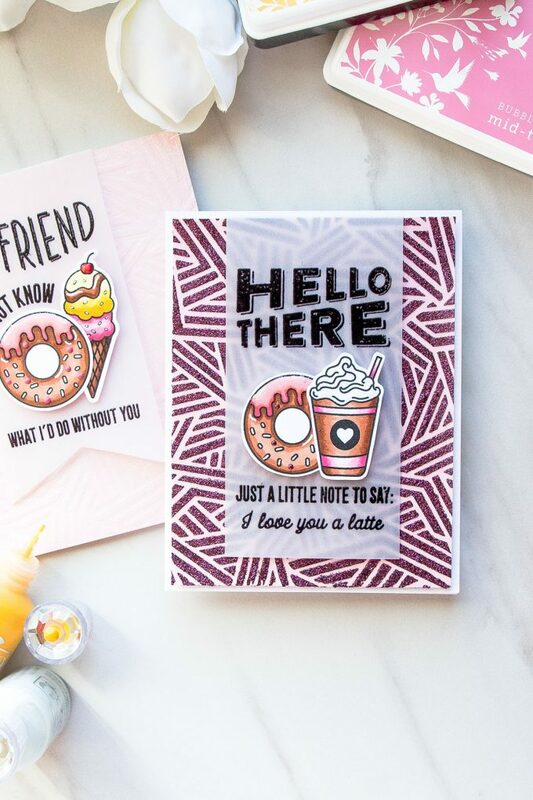 I have two sets of cards to share with you – my first set uses just the kit itself and shows how various kit sentiments can be mixed and matched. My second batch of cards shows how the sentiments from the kit can be used with other products, I used add on stamp and stencil, but you can use these with products you might already have. I will be moving for work soon, so I’m trying to reorganize and, well basically, pack up my craft room. One of the things that I have a lot of – is leftover colored cardstock. I don’t want to throw it away, but I also won’t take it with me as I am somewhat limited in how much stuff I can take. So I wanted to find a way to utilize all of those cardstock scraps and put them to a good use. I picked some stamps from my March kit and I trimmed my paper to size – to accommodate a particular word. That took a bit of time to do, but it helped me be more efficient when I got to the stamping part (I prefer to cut my paper first and do stamping later, versus stamp and than cut). I used black ink and stamped all of the messages in black. 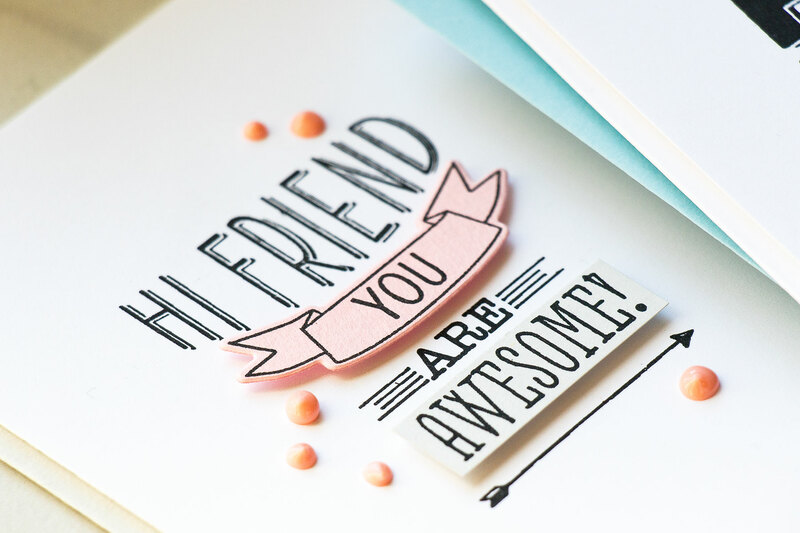 You can try using other colors or you can also heat emboss your messages, I wanted to make quick cards, so I didn’t do any heat embossing. I alternated black stamping on a white card background panel with black stamping on colored cardstock. That added a nice pop of color to these simple cards. Many of the stamps from the kit have coordinating frame cuts (dies), for example there are banner dies that let you cut some of the banners out. There are also blank banner shapes that can accommodate several of the words from the kit. I literally made a bunch of cards using all of these individual words and I still had a lot of pre-stamped words left, enough to make 20 more cards or even more. I trimmed all of my panels to 4 x 5 1/4″ and foam mounted them onto A2 card bases. I went with white and also colored cardstock for these to add some more color to my cards. You can definitely step these cards up by creating fun backgrounds, maybe doing some ink blending or introducing a critter to the design. Once I had all of them foam mounted I used my Nuvo Drops in various colors and I added liquid drops details onto these cards. I tried to match the colors of my nuvo drops to either the color of my card base or the dominant color on my card. I used Nuvo drops in – Duck Egg Blue, Bubblegum Blush, Oyster Gray, Caribbean Ocean, Green Apple and English Mustard. For my next cards I incorporated sentiments from the kit and also used add ons. I went with food images from the Food Puns stamp set, stencil – Every Which Way and a new shimmer spray ink. 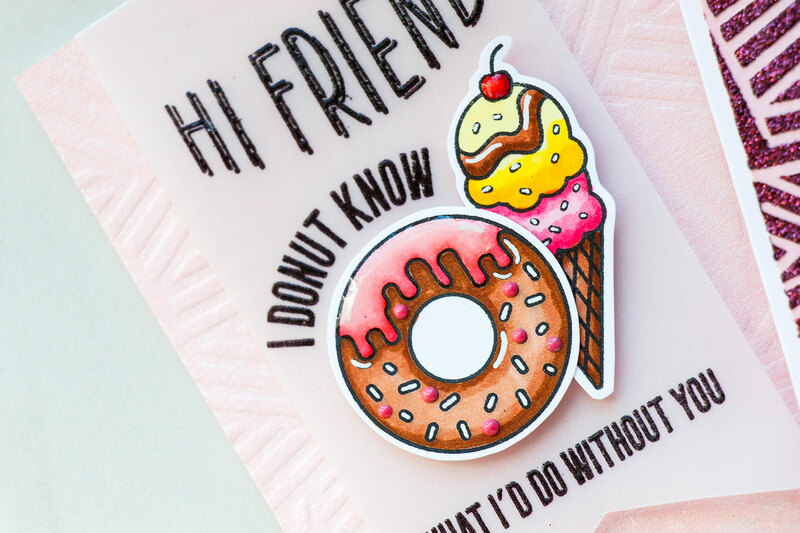 I was particularly drawn to the image of the donut – it’s just so delicious! I stamped images in Copic friendly ink and used E37, E15 and E13 to color the donut, RV14, RV13 and RV11 to color the frosting. I tried to stick to the same colors for the other food images and I think I only used some yellows – Y17, Y15 and Y11 and also a C1 col gray marker. There’s tons of ways these can be colored, I was in the mood for pink and brown combo. 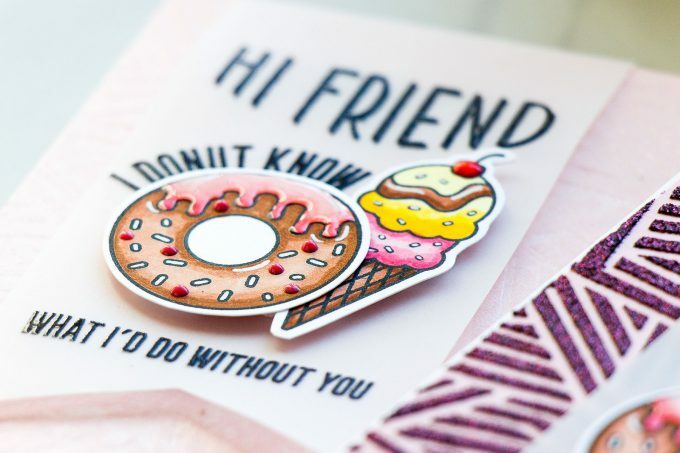 I also used a white gel pen and added white details to my images, especially to the donut. I cut my images out using scissors. 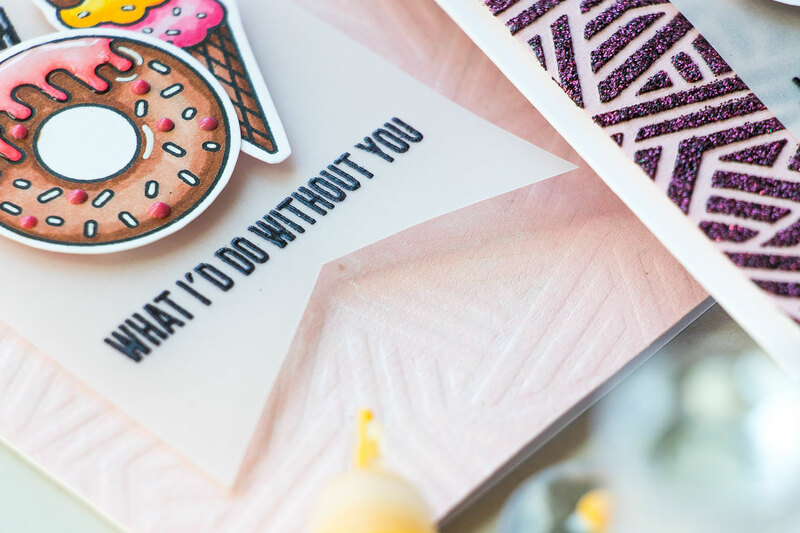 To create backgrounds for these cards I used an Every Which Way stencil, it’s an add on this month, and I dry embossed several backgrounds using it in my Spellbinders Platinum die cutting machine. Next, I used Glimmer Paste from Tonic Studios for one of my background – I reapplied the stencil over the dry embossed background and added a generous amount of Glimmer Paste in color Plum. For another background I used a new Spray from Hero Arts – White Iridescent Shimmer Spray, also an add on this month, and I generously sprayed the entire background. The spray is called white, but it’s not opaque white, so it will not make whatever paper you are using into a white colored paper, it will add shimmer and white and it will lighten the paper up, but it will not make it white. It’s very beautiful spray, I loved the shimmer that I got. To finish my cards I black heat embossed the sentiments onto vellum strips using Black embossing powder from WOW, foam mounted my food images and attached vellum strips onto the backgrounds. Lastly, I used lacquer pen from Hero Arts and added lacquer detail to the frosting on my donut and also the little heart on the coffee cup. 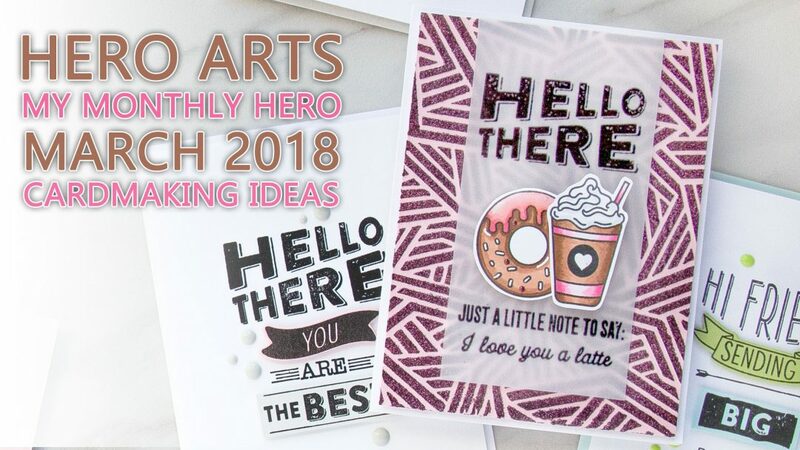 Hero Arts is giving away one kit as a prize to one blog reader – selected from the comments across all of the blogs in the hop so be sure to leave a comment for your chance to win! Giveaway closes Sunday, March 1th at 11:59pm, and the winner will be announced the following week. Such a fun set of cards! Now I just want to craft and not to all the other real world stuff I have to do! Beautiful cards, love the punny sentiments and the build a sentiment set, great kit! Thanks for another awesome video and great way to use up some scraps of colored paper. Love your cards. This is a great release. Cute ideas! LOVE the diversity. Thank you for sharing! Thank you for your ideas just using sentiments AND with added stamps. I ordered the kit but would love to win it as there are many other things I have on my wishlist! Really loving those cards with the constructed sentiments. Great subway art type feel. Absolutely adore that foodie set & those delicious puns! 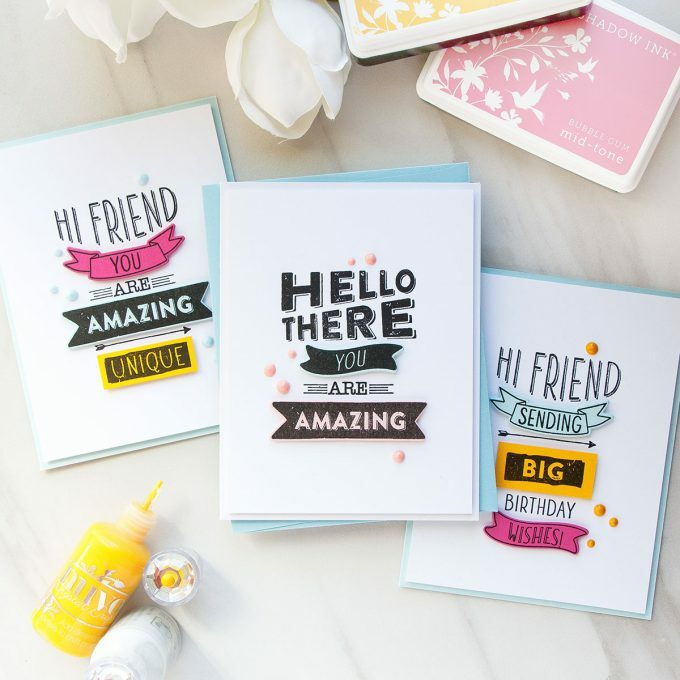 Your cards are fabulous!!! 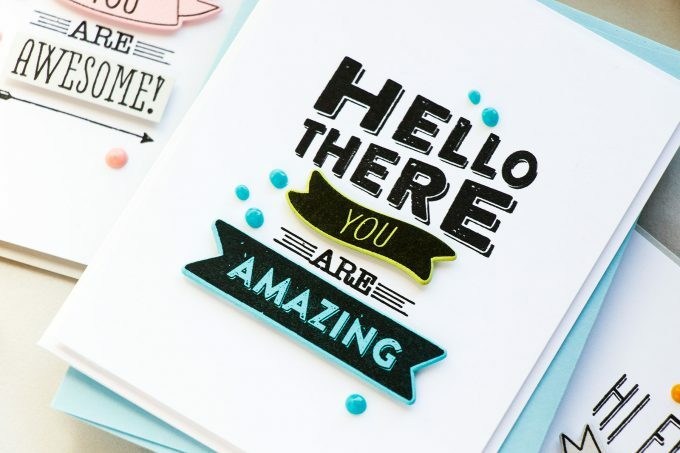 Hi Yana, I am in Love with your cards, they are all so awesome, the trouble is if I bought this kit I would want it ALL, it is soooo cool, I would have to have all the add on’s also, wow this is a goof one. I can’t believe you are moving, hopefully still someplace that is still warm and hot like you are use too. Yana, you always have such creative cards and these are no exception. Thanks for sharing all your wonderful ideas and videos with us. Love this new HA kit ! Love your cards with these sets! Such a clever use of your scraps and stamps! TFS! Lovely cards! Hi Yana. 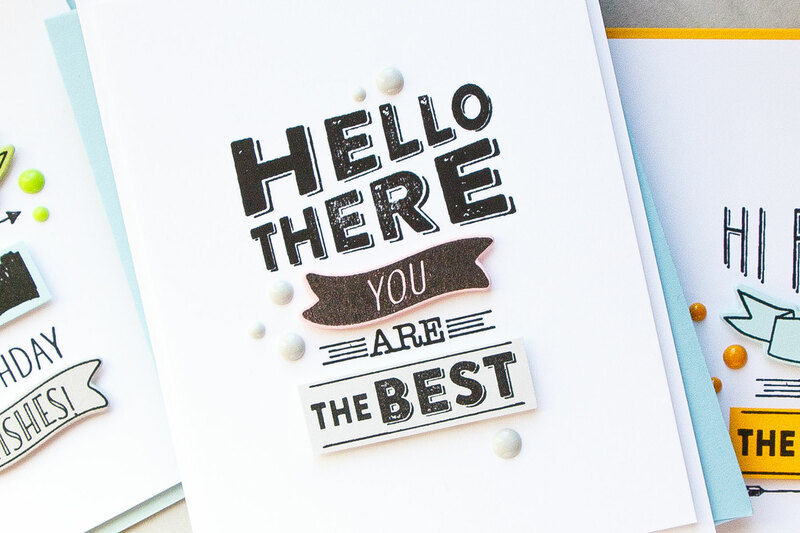 I love how you used the coloured cardstock for sentiments. It just shows how what we perceive as a restriction can result in something really creative. I love these! You are so creative and talented. You can delete this comment. I put the wrong email address. I re-commented. Sorry!! jofails@gmail.com is the correct email. I think I’m confusing you. I replied on the wrong comment. Ugh. I love the way you used your scraps. I also learned a lot watching you use your misti. Thank you. Love this kit! 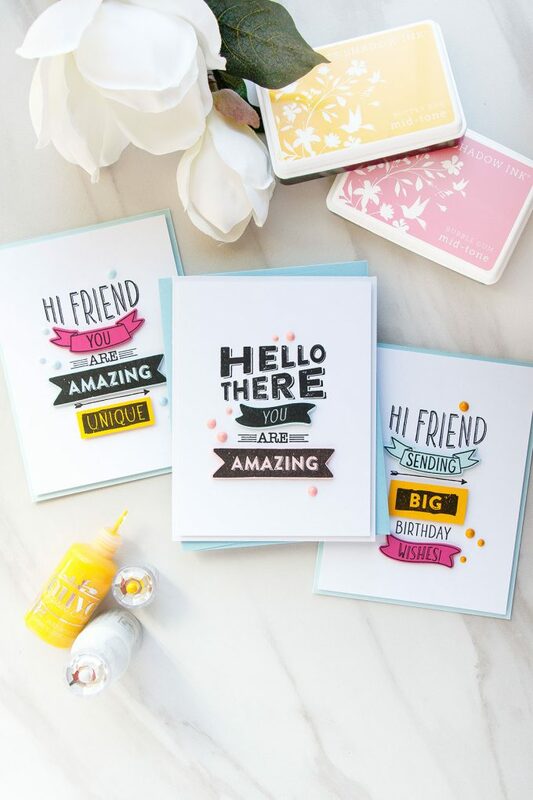 Your cards are great and bold and happy! Love your cards, Yana! 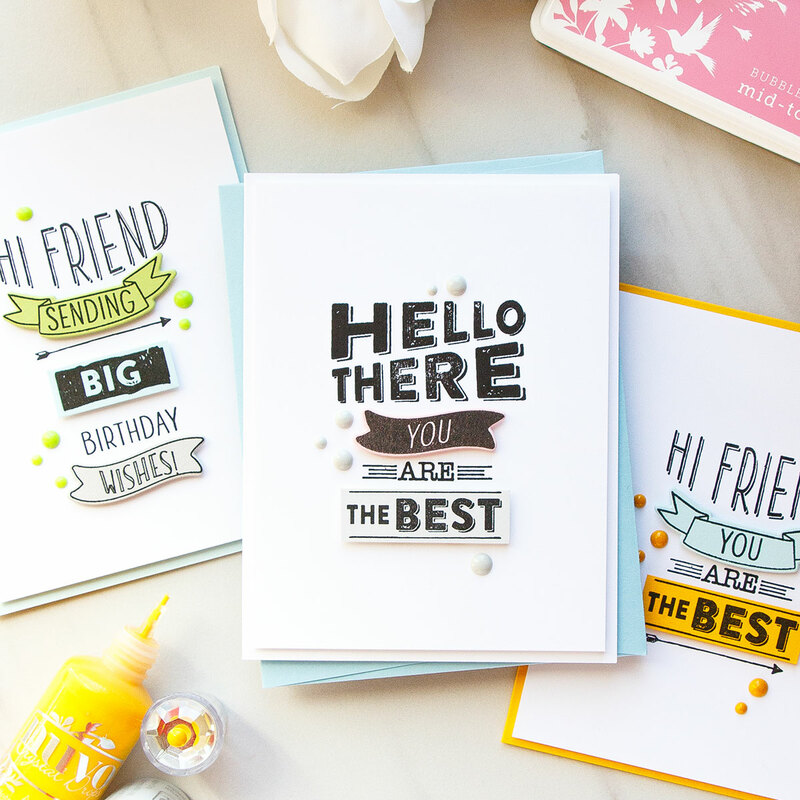 I can’t wait to receive my Kit – you have given me incentive to make multiple cards at the same time (which I have never done)! 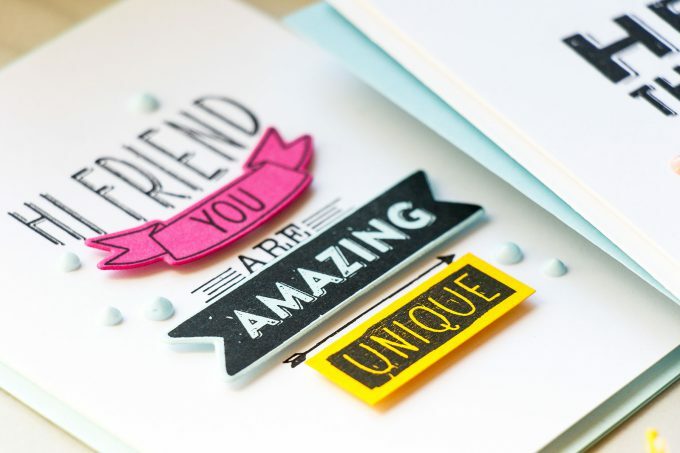 Love how you could make such versatile cards from a fairly small selection of supplies. What a great kit of sentiments. I love how you mixed them up and made some pretty bright fun cards. Love this kit. Great cards! Aww fun cards! There are some great saying and your combinations are very nice. The puns and food stamps are so much fun. I also want to check out the shimmer sprays. Thank you so much for showing such beautiful examples!!! That’s a great, very useful set of cards ! Gorgeous cards – love the fonts used for these sentiments! Another fab set of cards. Thanks for sharing your techniques.